Seco Cubano, Ligero; Olor Dominicano, and Nicaraguan highlights make up the interior. Binder is Dominican, finished with a Connecticut wrapper. Strength is mild to medium, with a very FULL BODY. Enjoy full, billowy clouds of rolling, sweet, nutty smoke. 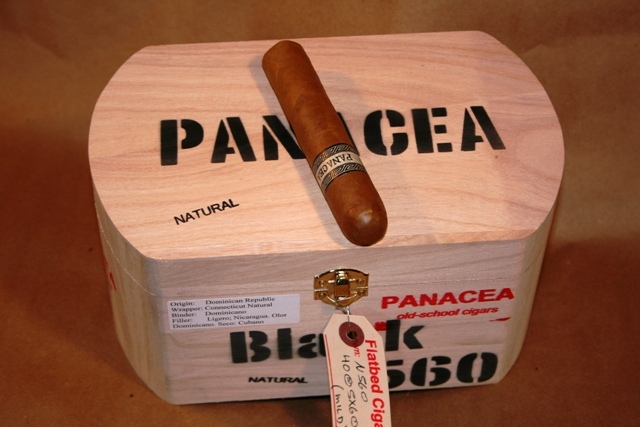 With the Grande 560 size you'll enjoy even more filler in a cool burning cigar. She is exquisite. You will love this smoke. You asked for it...so we made it. Our very first blend, now in 5x60 size. Buy a box of 24, and share with your friends. The 560's are my favorite cigars. I prefer the black naturals because they are so mild but frankly, all the 560's are good. The mix bundle is fun because you get to try so many. You will like them. A very very fine smoke.